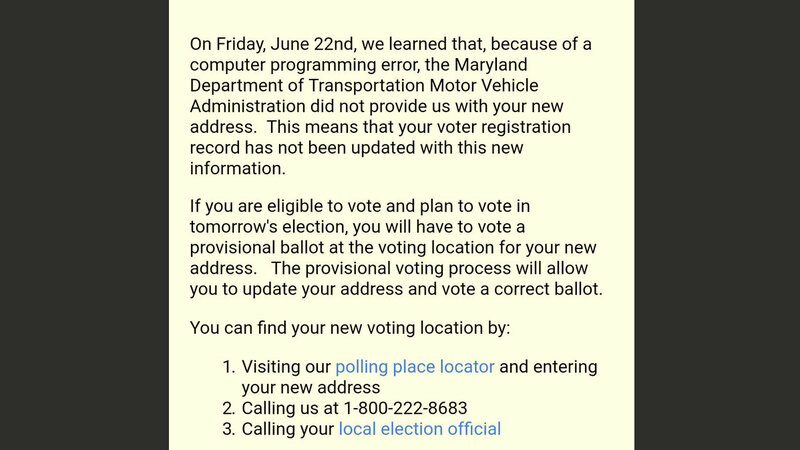 “On Friday, June 22, we learned that, because of a computer programing error, the Maryland Department of Motor Vehicle Administration did not provide us with your new address,” the message began. “This means that your voter registration has not been updated with this new information,” the message said, informing Gardner that he would have to vote a provisional ballot. Thus, Gardner learned that his vote was caught up in a widening election controversy that has Democrats calling for MVA chief Christine Nizer to resign and accusing Republican Gov. Larry Hogan of possibly suppressing today’s primary vote. After announcing Saturday that the MVA had failed to forward election information for 19,000 people to state election officials, the agency announced last night that it had since discovered the mistake actually affected 80,000 people. But the “glitch” appears to be wider than that. MVA officials said the error involved people who changed their addresses or party affiliation at an MVA office. Gardner, however, had had no contact with the MVA, he told The Brew. The only thing that changed for Gardner – who moved from Anne Arundel County to Baltimore in 2006 and has voted without issue at his current city address in 2012, 2014 and 2016 – is that he registered for jury duty in the city. “‘Oops,’ shouldn’t be a plausible excuse anymore,” says a city voter. Election officials are required to begin counting them on July 5. The process could delay the outcome of a close vote for more than a week after the primary. Gardner said he did not accept state officials’ statement that the incident amounted to an innocent computer or administrative foul-up. On Friday, when the problems were first reported, Hogan’s office expressed concern and promised to correct the “glitch,” but denied the allegations of voter suppression. Last night, Democratic leaders renewed their denunciation after the reported scope of the error increased almost four-fold. “Yesterday, the Governor’s office brushed off criticism of the MVA as a ‘clerical error’ and a ‘conspiracy theory.’ Today, they revealed the problem is exponentially worse than they told us, affecting 80,000 Marylanders that we know of,” said Sen. Joan Carter Conway and Del. Ann R. Kaiser in a joint statement called for Nizer to step down. Hogan has ordered an audit of what went wrong, while legislative leaders vow to hold hearings. Watchdog groups, meanwhile, said the incident underscores the need for systemic reform. Eligible voters in Maryland will still be able to cast provisional ballots – though those ballots will not be counted until the second Wednesday after Tuesday’s primary, Effingham noted. He said election workers must verify the eligibility of voters against voting records but that it is unclear at this time how long it will take the MVA to properly transmit their updated registration data for this purpose. 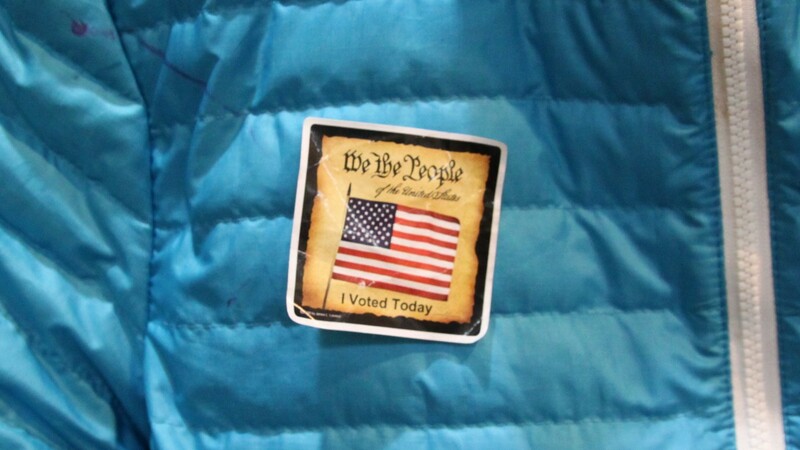 “This event underscores the absolute necessity to modernize and expand access to our registration systems through processes like Election Day Registration,” Effingham added.